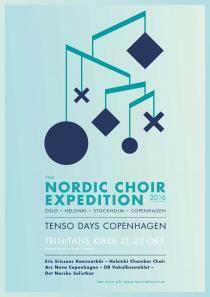 Workshop for young composers with Helsinki Chamber Choir and James Wood. Free entrance! Aftab Darvishi After finishing the Bachelor of Art with highest honors in her native city Tehran, Aftab Darvishi (Iran, 1987) moved to the Netherlands where she studied composition at the Royal Conservatoire in the Hague, and Composing for Film and Contemporary Music through non-Western techniques at the Conservatory of Amsterdam. Aftab Darvishi is a member of KHZ, an experimental electronic ensemble founded by Yannis Kyriakide In 2015, she was invited to lecture at the University of Tehran, and invited to write a piece based on Boulez Notations for percussion performed at the Holland Festival. She has been selected to participate as composer in the Festival Paphos – European Capital of Culture (Cyprus) in 2017. Piyawat Louilarpprasert (Thailand, 1993) studied composing and conducting at Mahidol University in Bangkok, Thailand. In 2015 he moved to the UK to study for his masters in composition with Dai Fujikura and Gilbert Nuono at the Royal College of Music. He participated in several masterclasses, such as Darmstadt New Music Festival 2014 / Studio Musikfabrik working with Helmut Lachenmann and Georges Aperghis. Piyawat Louilarpprasert has won several awards for his compositions, such as the First Prize from the Princess Galyani Vadhana Youth Orchestra in 2015, and the Young Thai Artist Award for a Chamber Music composition. He was a finalist for “Young Composer in Southeast Asia, contemporary traditional music” in 2013, and of ” Mozart of Tomorrow” of Royal Northern Sinfonia in 2015. Sophie Sparkes (1996) is a UK-based composer whose compositional output ranges from choral to instrumental works, chamber opera, music for theatre, electro-acoustic composition, sound installations and music videos. Sophie currently studies composition with Eugene Birman at the University of Oxford, having previously studied at the Junior Royal Academy of Music and The Purcell School for Young where she won the Tim Stevenson Award for outstanding young composer 2014. Sophie’s work has been premiered in venues including the Saatchi Gallery, St Martin-in-the-Fields and The Royal Academy of Music by ensembles including The Aurora Orchestra, The BBC Singers and Music Off Canvas. Commissions include a Pop Up Opera, Chuggers, for Tête à Tête: The Opera Festival 2015, and a work for the 20×12 Cultural Olympiad with Sound and Music. The workshop takes place in the congregational house directly behind the church.